The Israeli Occupation Forces (IOF) on Sunday evening arrested a Palestinian woman at Qalandia military checkpoint, to the north of occupied West Bank. A 47-year-old woman was arrested at Qalandia checkpoint for allegedly holding a knife in her possession, 0404 Hebrew site claimed. 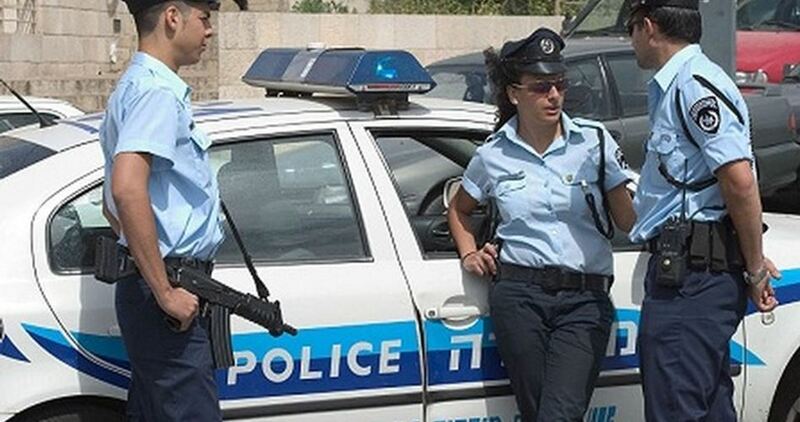 The unidentified woman was planning to carry out an anti-occupation attack, the source added. 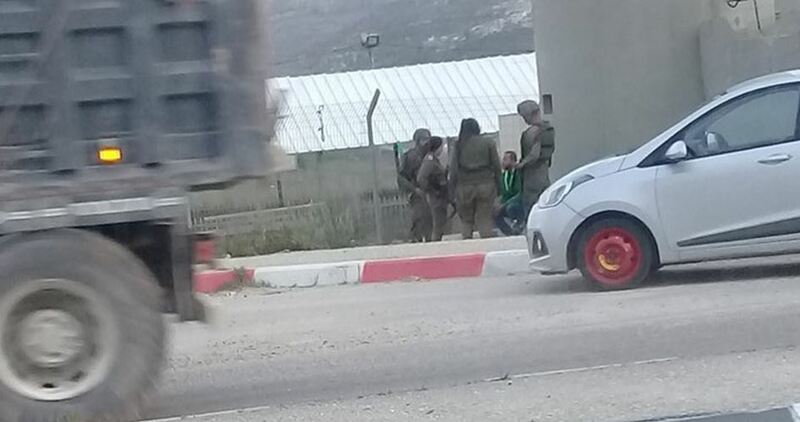 Meanwhile, three minors were detained in Issawiya town, northeast of occupied Jerusalem. The detainees were identified as Ahmed Abdel Raouf, Youssef Mustafa, and Tariq Mustafa. A Palestinian driver was arrested by Israeli policemen on Wednesday morning allegedly after he tried to ram his car into a police patrol in al-Sheikh Jarrah neighborhood, in Occupied Jerusalem. Israeli police claimed a Palestinian driver attempted to hit Israeli officers deployed at a bus station in Occupied Jerusalem. No injuries were reported in the attempted car-ramming attack. Israeli police opened an investigation into the alleged attack and chased down a vehicle which they claimed had run away from the scene. A set of military checkpoints was pitched in the process. 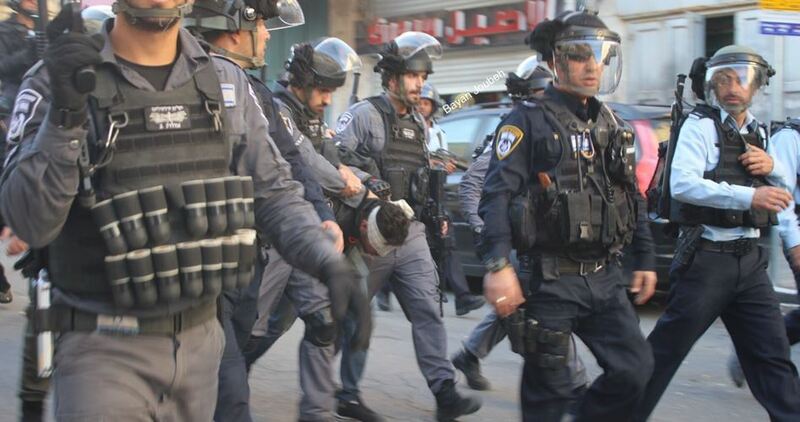 Israeli news outlets said the driver was arrested along with another Palestinian accompanying him in Occupied Jerusalem. Both are being subjected to intensive questioning. Hebrew media sources reported that the Israeli occupation forces (IOF) on Tuesday arrested three Palestinian youths east of Nablus city for allegedly throwing explosive devices at Israeli soldiers. Hebrew website "0404" said that the youths threw a bag containing three homemade explosive devices at the security guards of an Israeli settlement near Salem town east of Nablus. The website, which is close to the Israeli army, said that the IOF arrived at the scene following the alleged attack and started combing the area before arresting three Palestinians suspected of throwing the explosive devices. 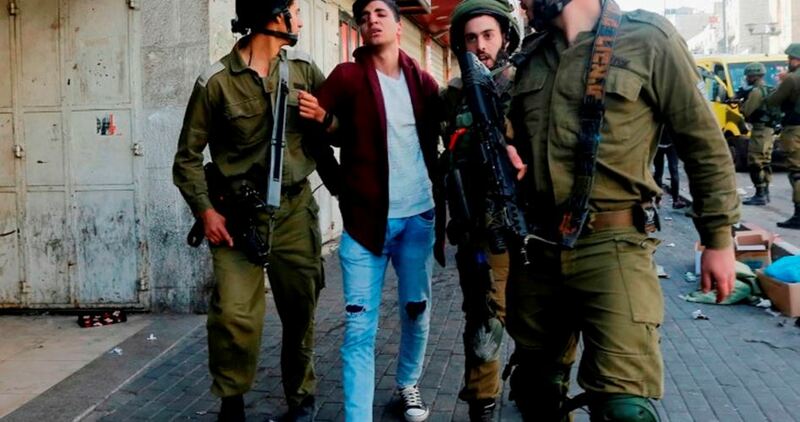 The Israeli occupation army on a regular basis launch arbitrary arrest campaigns against the Palestinians on the grounds that the detainees have carried out attacks against Israeli soldiers and settlers. The Israeli Occupation Forces (IOF) arrested Tuesday afternoon two Palestinians at the entrance to Salem military court. 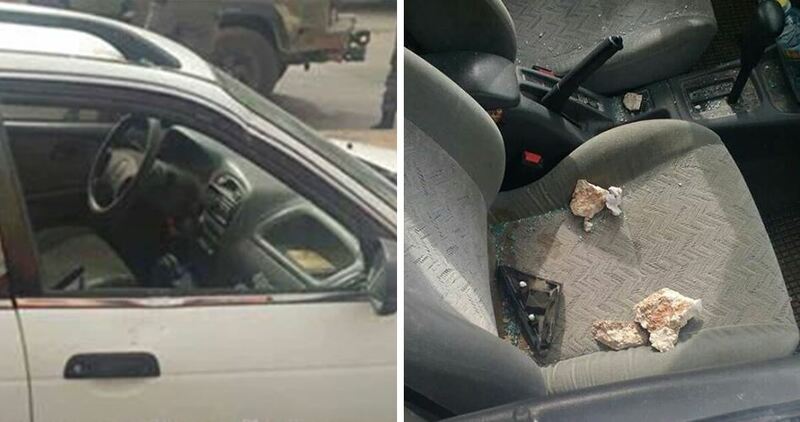 The two young man, from Jenin refugee camp to the west of Jenin city, were brutally attacked before being arrested for allegedly holding homemade bombs in their possession, local sources told PIC reporter. The two detainees were identified as Islam Khraish and Abdullah Abu Zamiro. 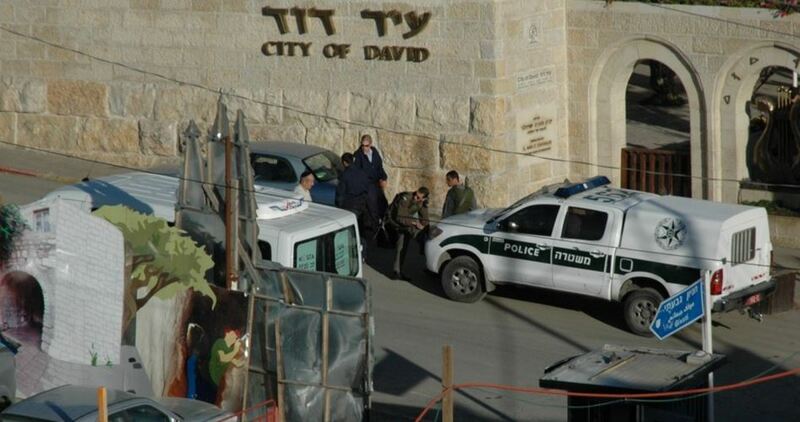 IOF prevented access to the court following the incident. 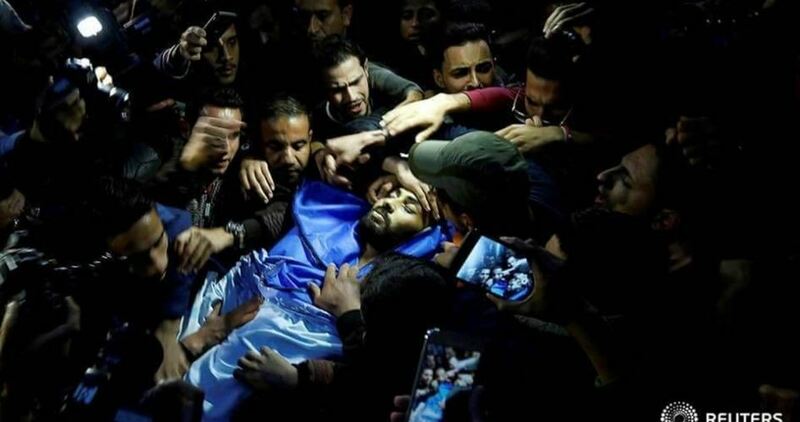 Israeli occupation forces (IOF) on Sunday evening announced killing of three Palestinians and arresting a fourth man, in two separate attacks, at the pretext of attempting to cross the security fence south of Gaza Strip. The IOF claimed that the Palestinians managed to cross the separation fence and throw bombs at IOF troopers who immediately shot them dead. Local sources reported hearing shooting and seeing light bombers, coming from the Israeli side, east of Rafah and Khan Younis. No further information were reported yet. The Israeli occupation forces on Friday kidnapped two Palestinians allegedly after they attempted to enter territories occupied in 1948 via Ein Yael checkpoint, near Occupied Jerusalem. According to the Hebrew-speaking Yediot Ahronot newspaper, the two arrestees are natives of al-Khalil and Beit Jala, in the southern occupied West Bank. The occupation army claimed the two detainees were holding a bomb, a knife and a sum of money. The Israeli military intensified presence across the occupied West Bank in an attempt to crack down on protesters taking part in rallies denouncing Israel’s illegal settlement activity and in support of the Great March of Return staged along the Gaza border. 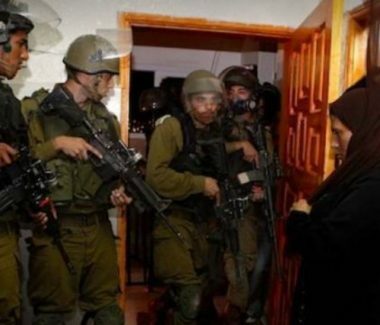 The Palestinian Prisoners’ Society (PPS) has reported that Israeli soldiers abducted, on Friday at dawn, five young Palestinian men, after invading and searching their homes in Bethlehem, and Qalqilia.Several army jeeps invaded Far’ata village, east of the northern West Bank city of Qalqilia, before the soldiers stormed and searched homes, and abducted two young men, in their twenties. The two abducted residents have been identified as Ehsan Saleh Tawil, a student of the Najah National University in Nablus, and his cousin Shehab Tawil. 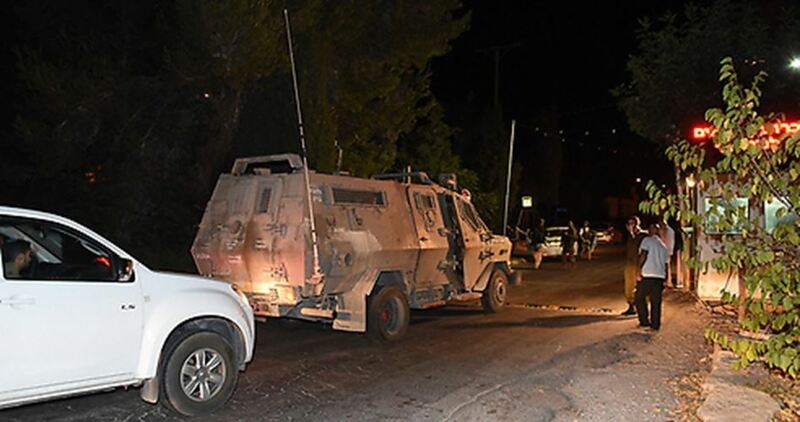 The PPS added that the soldiers invaded Beit Fajjar town, south of Bethlehem, also searched homes and abducted Dia’ al-Afifi, Mohammad Waleed Thawabta, 17, and Mohammad Mansour Deeriyya, 22. On Thursday at night, the soldiers closed the main entrance of Azzoun town, east of Qalqilia, after the army attacked protesters, and fired live rounds and rubber-coated steel bullets, while several young men hurled stones at the invading army jeeps. In addition, medical sources in Hebron, in southern West Bank, said the soldiers shot two Palestinians in Halhoul Bridge area, north of the city. 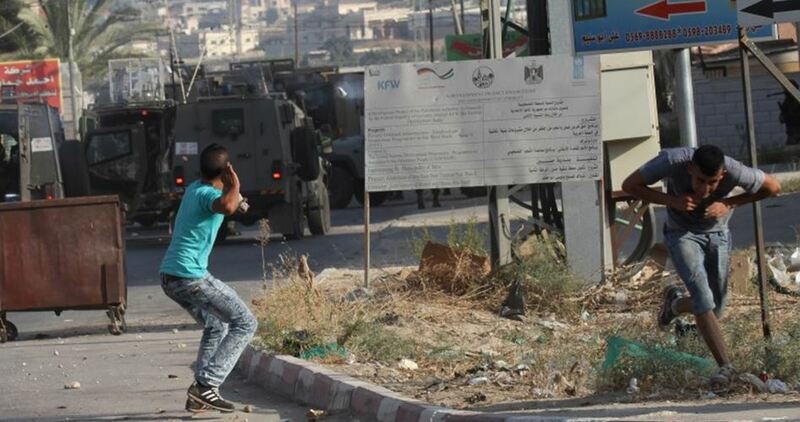 They added that the two Palestinians suffered moderate-but-stable wounds and were rushed to a local hospital. 42 Palestinians were killed and over 5,000 others injured by the Israeli occupation forces since the start of the Great March of Return protests on March 30. 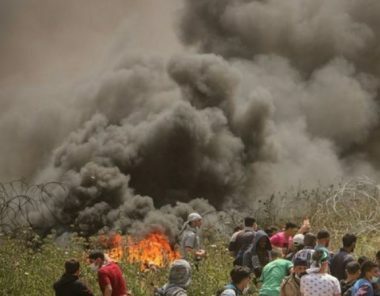 According to the Palestinian Health Ministry, 42 Palestinians were killed in Israeli aggressions on the Great March of Return protests staged near Gaza’s border. Two casualties have had their bodies withheld by the Israeli occupation authorities. Among those injured 3,368 were evacuated to hospitals and 2,143 others received field treatment. 143 cases have been identified as critical and 1,710 others as moderate. The list of injured Palestinians also included 592 children and 192 women and girls. According to the ministry’s data, 1,738 protesters were shot with live bullets, 394 with rubber bullets, and 611 others were injured with teargas. 227 protesters were shot in their necks or heads, 440 in their upper body, 115 in their backs and chests, 142 in their abdomens or pelvis, and another 1,704 in their lower limbs. Clashes burst out on Thursday evening between the Israeli occupation forces and Palestinian anti-occupation youth in Qalqilya’s eastern town of Azzoun, in the northern West Bank. According to local sources, heavily-armed Israeli soldiers chased down Palestinian youth near the main entrance to Azzoun town and raked through olive groves. Palestinian anti-occupation protesters responded to the crackdown by hurling stones at Israeli settlers’ cars parked in the area. At the same time, heavily-armed Israeli patrols rolled into the nearby Gios town and set up a military checkpoint, before they cracked down on Palestinians passing through the area. A Palestinian boy had reportedly been made to endure heavy beating while several Palestinians have had their vehicles seized in the assault. 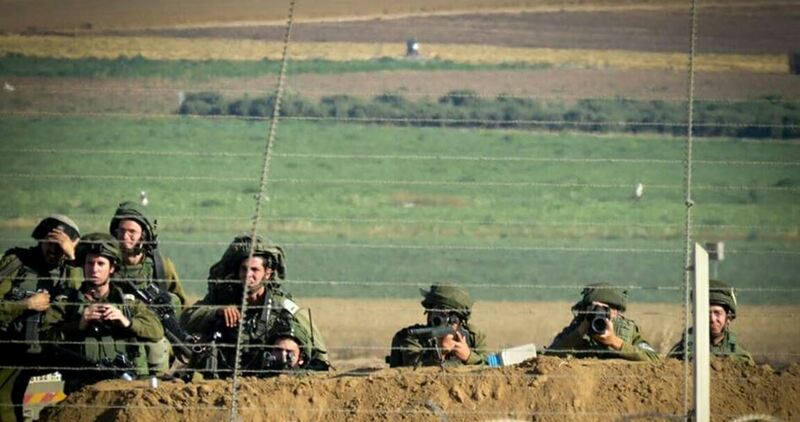 Israeli soldiers injured, Wednesday, several Palestinians in the Gaza Strip, after the army opened fire at the “al-Awdah” (The Return) protest camps, near the border fence in the besieged Gaza Strip. Medical sources said several Palestinians were shot with live fire along the border area, in the eastern part of the Gaza Strip. They added that the soldiers also shot two Palestinians with live fire in Khuza’a town east of Khan Younis, in southern Gaza Strip. In addition, the soldiers shot a Palestinian with a live round in his arm, and another in his leg, after the army opened fire on protesters who dragged sections of the border fence. Many Palestinians suffered the effects of teargas inhalation after the soldiers attacked protesters east of Gaza, while a young man was shot with a live round in his shoulder. Furthermore, the soldiers shot a child with a live round, east of the al-Boreij refugee camp, in central Gaza. In related news, the army fired an artillery shell at an observation post run by the Al-Qassam Brigades, the armed wing of Hamas, east of al-Boreij, after the soldiers claimed shots were fired at a military vehicle driving across the border fence. Israeli soldiers abducted, late on Tuesday evening, two young Palestinian men in two separate incidents at military roadblocks near Jenin and Jerusalem, in the occupied West Bank. Media sources said the soldiers installed a military roadblock near Ya’bad town, southwest of the northern West Bank city of Jenin, and abducted Ibrahim Ahmad Zeid, from Barta’a nearby town, in addition to confiscating his car. 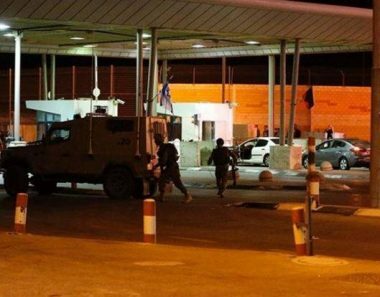 Furthermore, the soldiers stationed at the Qalandia terminal, between Jerusalem and Ramallah, abducted a young man from the Gaza Strip, reportedly after searching him and locating a hidden knife. The army did not release the man’s name, or whether he carried a permit to enter Jerusalem, but only said he is from the Gaza Strip. Israeli military troops have sealed off an iron gate leading to Palestinian villages north of al-Khalil province, in the southern occupied West Bank, allegedly after a settler was stoned and injured. Israeli soldiers closed off the access road between Beit Einun and al-Nasaba, north of Halhul province, in northern al-Khalil, claiming a settler was injured in a stone-throwing attack as she passed through the area overnight. Sometime earlier, Israeli settlers attacked a bus carrying Palestinian schoolchildren on their way back home to Yatta, east of al-Khalil, from an excursion. A state of panic flared up among the schoolchildren after Israeli settlers hurled rocks toward the bus, in the second such assault in al-Khalil in less than 10 hours. The Israeli occupation army on Wednesday claimed its forces frustrated a massive bombing operation targeting its citizens in Israel (the 1948 occupied lands). According to the Hebrew website 0404, Israeli soldiers at Umm al-Rayhan checkpoint west of Jenin city in the West Bank intercepted and searched a truck carrying vegetables as its driver was intending to cross into Israel and found homemade pipe bombs stashed aboard it. A bundle of 10 pipe bombs wired together to form an improvised explosive device was found inside the truck, according to Israeli claims. Israeli security speculations pointed the finger at a group of Palestinians, saying they might be behind the intended operation. The website said the driver was arrested and taken in for interrogation, without revealing his identity.